With more than 25 collections to his credit, Father Carmelo Erdozáin is one of the most prolific composers in the Hispanic world. He has served the Church now for over 50 years. 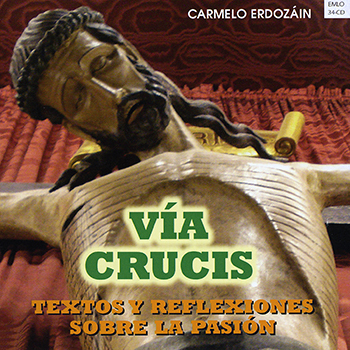 Moving us to go deeper into the mysteries we celebrate, Cristo el Mesías offers beautiful new settings of some of Carmelo Erdozáin's most beloved songs, including "Nace el Niño en un Portal," "Creo en Jesús," "Dichosos los Pobres" and "A la Hora de Nona." This two-CD set also includes instrumental versions of all 18 tracks—ideal for helping you add these songs to your repertoire or as background music for personal reflection. Moving us to go deeper into the mysteries we celebrate, Cristo el Mesías offers beautiful new settings of some of Carmelo Erdozáin's most beloved songs. Also available in a 2-CD set, featuring full vocal and instrumental recordings. 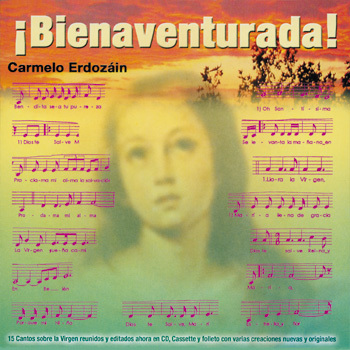 As a follow-up to Cristo el Mesías, this collection provides more transcendental music that brings us closer to God and unites us with our brothers and sisters in Christ. Grounded in Scriptural and Sacramental texts, these songs enrich worship both inside and outside of the liturgy. 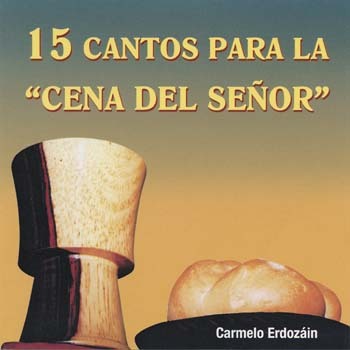 Enjoy updated recordings of 10 well-known titles from Carmelo Erdozáin—such as "Apósteles, Dichosos Son," "Muere Jesús en la Cruz," "Era Él" and "Tú Me Llamas por mi Nombre"—plus eight instrumental-only versions, all on one CD! 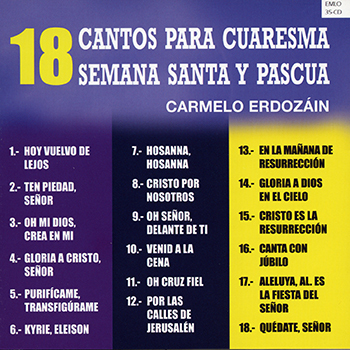 Jóvenes de Hoy Cantando a Cristo en "Babilonia"
Jóvenes de Hoy Cantando a Cristo en "Babilonia" (translated: Today's youth sing to Christ in Babylonia) is the perfect title for this CD. 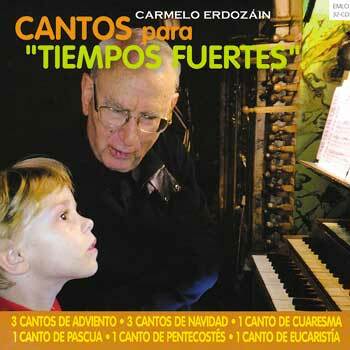 Dedicated to evangelizing youth, Carmelo Erdozáin's music gives young people liturgically sound texts to truly engage the Gospel. This incredible collection is packed with fresh renditions of 22 songs, featuring "Oí Tu Voz," "Libertador de Nazareth (Cristo Libertador), "Siempre en la Vida Hay Algo que Crear" and more! This is the MP3 playlist for the CD El Hijo de Dios Viv, Vol 2. With more than 25 collections to his credit, Father Carmelo Erdozáin is one of the most prolific composers in the Hispanic world. He was born in Aibar, a town in the Navarre province of Spain. Music was part of his family life from the very beginning. 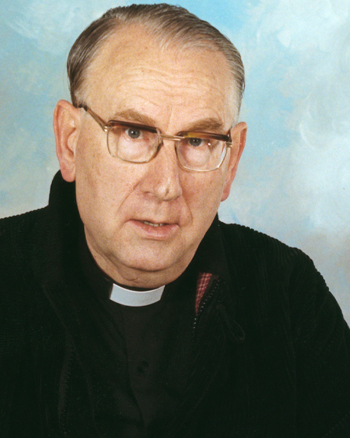 He was ordained a priest at the age of 23. Erdozáin holds degrees in composition and organ and is a professor at the music conservatory in Pamplona. He also studied religious music at the Pontificate Institute of Rome, where he obtained a degree in Gregorian chant and a master’s in musicology. He has given 50 years of service to the Church. More than 40 of his compositions are included in the first edition of OCP’s Flor y Canto. He writes music that combines ear-pleasing melodies with heart-changing lyrics. His texts speak of Christ’s banquet, of the manna that awaits us in heaven, of the delicious bread from the wheat fields. 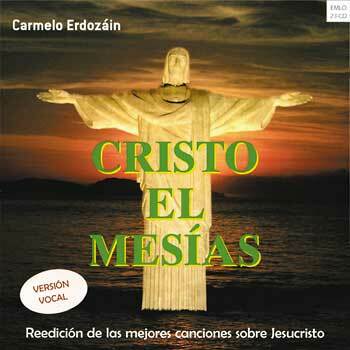 His most recent collection is Canciones Selectas de Carmelo Erdozáin. A popular speaker, Father Erdozáin has taught classes and has given workshops on liturgical music in Spain, Puerto Rico, and the U.S. He is vicar at St. Nicholas Catholic Church in Pamplona, Spain; home of the San Fermín festival and its famous run with the bulls. He splits his time between composing for the parish and as director of the record production company, Ediciones Música-Liturgia-Oración (EMLO).